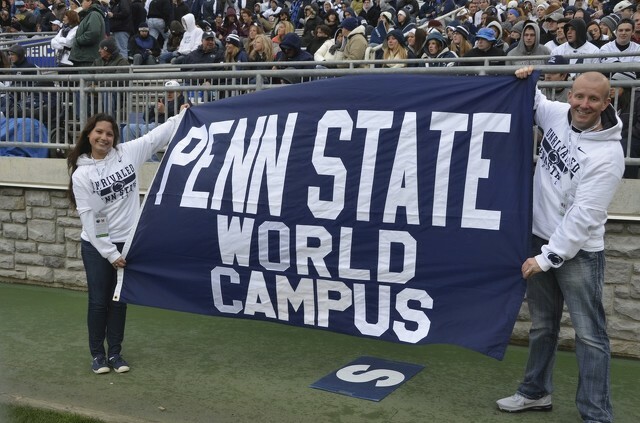 Penn State World Campus is teaming up with the NFL Players Association, the labor union for athletes in the National Football League. The educational partnership is part of a plan to help both current and former players in the league earn college degrees online. World Campus will provide advisors and staff to work with players who have credits from another university, presumably one they departed from early to start a professional football career. They will also help players start a brand new degree if that's their preference, offering more than 125 online academic programs ranging from business, to science, to liberal arts, to health care. This partnership is part of the World Campus' Corporate Alliance program, in which the university's online academic program has teamed up with more than 30 corporate education partners. Penn State already has some ties to the Professional Athletes Foundation, a philanthropic arm of the NFLPA that assists players in their transition from the gridiron to the real world after their football career comes to an end. Former Nittany Lions linebacker Andrew Collins s the executive director of the Professional Athletes Foundation, which provides financial, educational, and career resources for outgoing NFL players. This new partnership with Penn State World Campus only works to bolster the efforts of the NFLPA to ease athletes into life after football.